Dublin is known for sightseeing, breweries, museums, nightlife, and historic sites. Your plan includes some of its best attractions: tour the pleasant surroundings at St. Stephen's Green, wander the streets of Temple Bar, admire the striking features of Saint Patrick's Cathedral, and see the interesting displays at Glasnevin Cemetery Museum. To see traveler tips, where to stay, reviews, and tourist information, read our Dublin trip planner. Use the Route module to find suitable travel options from Quebec City, Canada to Dublin. The time zone difference when traveling from Quebec City to Dublin is 5 hours. Traveling from Quebec City in June, expect Dublin to be slightly colder, temps between 20°C and 10°C. Cap off your sightseeing on the 19th (Mon) early enough to go by car to Killarney. 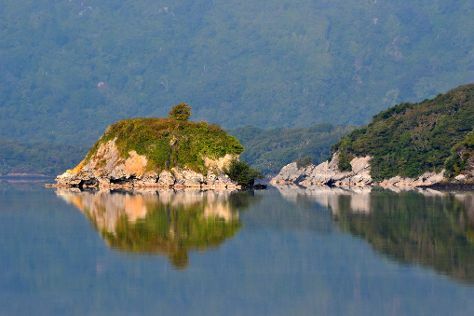 Spend the 20th (Tue) exploring nature at Killarney National Park. The adventure continues: take in nature's colorful creations at Muckross House, Gardens & Traditional Farms, steep yourself in history at Muckross Abbey, step into the grandiose world of Ross Castle, and admire the sheer force of Torc Waterfall. To see other places to visit, where to stay, ratings, and tourist information, go to the Killarney itinerary planner. Getting from Dublin to Killarney by car takes about 3.5 hours. Other options: fly; or take a train. In June, daytime highs in Killarney are 20°C, while nighttime lows are 13°C. Cap off your sightseeing on the 22nd (Thu) early enough to travel back home.